Circus Art is the art of physical and mental training that combines therapeutic principles with the skill and dexterity to be exhibited in the circus. Circus art needs training strong bodies and minds through a combination of fitness, focus and fun. The first circus established in Rome was called the Circus Maximus, which was situated in a valley between the Palatine and Aventine hills. 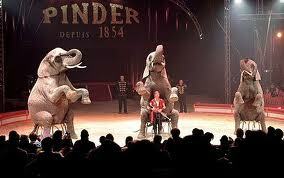 Additional circuses in Rome flourished, including the Circus Flaminius, the Circus Neronis, and the Circus of Maxentius. 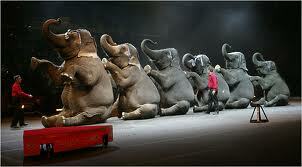 The 1960’s and 1970’s brought harsh times for the circus, as animal rights became a hot topic of concern. 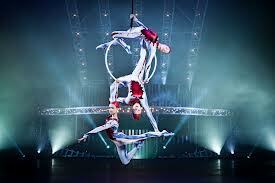 Circuses started to merge with other productions in order to maintain their business. They also started to create a mix of acts that showcased both animals and human performers. This can be seen in the efforts of the Ringling Brothers and Barnum and Bailey Circus, the Moscow State Circus, and the Circus Royale in Australia. A shift from animal performers to complete human productions started to emerge in many countries. An illustrious example of an animal-free circus show is the infamous Cirque Du Soleil productions, which travels worldwide to present extraordinary displays of creativity and beauty. The introduction of the circus tent in Europe at the beginning of the 20th century will give the circus independence and freedom. It became also that much more popular. The reserve until then of a certain societal elite, it now sought to conquer increasingly larger audiences. It is the time of gigantism in Germany and of boundless expansion in the United States. Beginning in the 1930s, the circus also played an important role in the development of cultural policy in the Soviet Union; the opening of the Moscow Circus School is a major event, instituting an unprecedented pedagogical and artistic vehicle for the West. It is also as decisive a development for circus arts as the emergence of exoticism 50 years earlier, or the supremacy of the big top as an essential vector of communication, at the same time an aesthetic convention and performance arena.